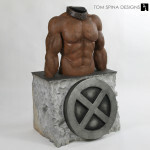 Torso display for an X-Men Colossus costume from X-Men: The Last Stand. This X-Men Colossus costume was eventually used together with computer generated graphics to really give the Colossus character a smooth metallic finish. 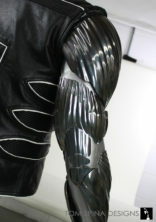 But having the actor wearing the silver armor helped him get into character and gave the animators a metallic starting point. 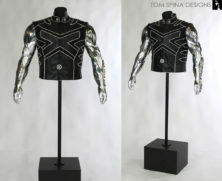 When we received the pieces of Colossus’ costume it felt more like a jigsaw puzzle than the X-men and Deadpool star’s armored skin. 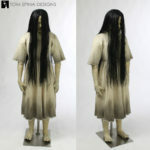 Since these pieces were mostly covered with computer graphics in the final film, there wasn’t a ton of reference for us to work with. 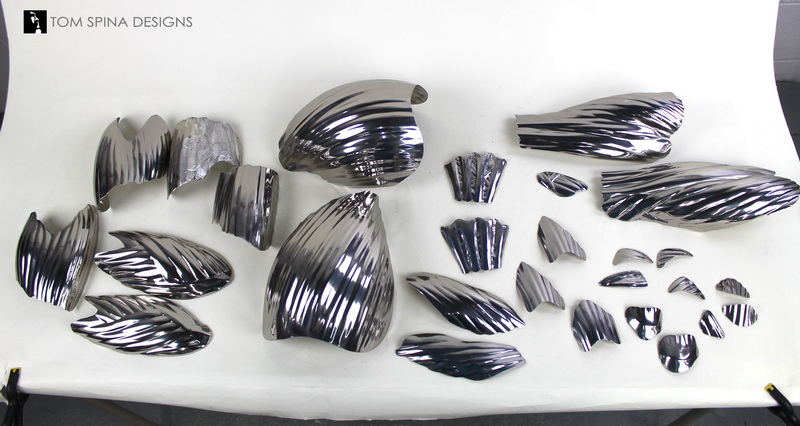 For some of the pieces we were able to figure out where they went by their shape alone, like the shoulders and forearms. But for many of the smaller pieces it meant doing a bit of research into behind the scenes photos to work out placement and solve the puzzle! 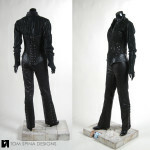 For the torso of the display we had to use a customized mannequin to match actor Daniel Cudmore’s extremely muscular physique. 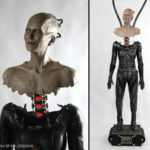 The fiberglass mannequin was enlarged, the chest broadened and muscles added over the whole torso and both arms. 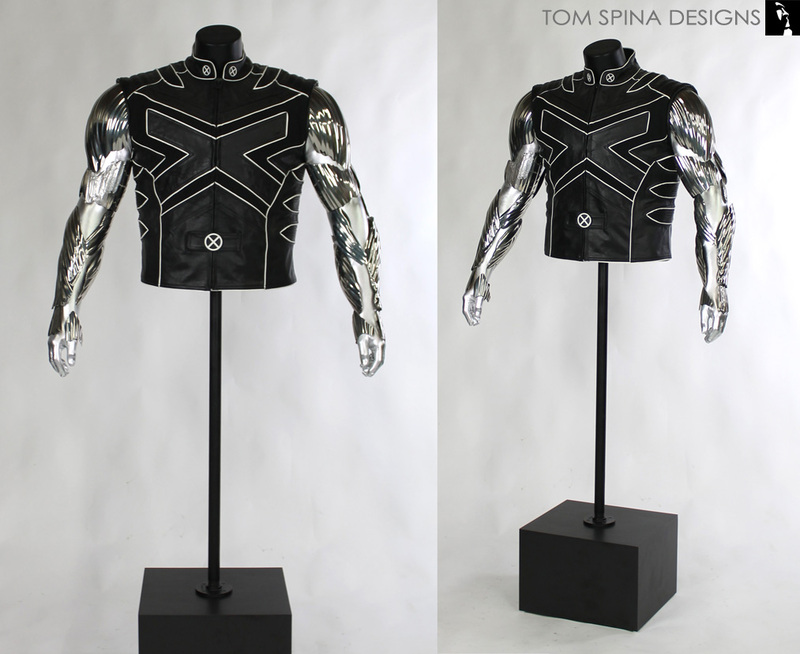 Over that mannequin, we used a silver metallic bodysuit so that any of the areas which were not covered by movie costume plating would complement the chrome finish of the armor and not distract from it. 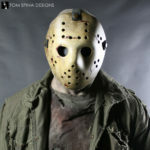 To keep the armor pieces on the body we sewed velcro into pre-existing snaps on the plates and on to the body suit so that the pieces could be easily removed if our movie prop collector client ever wanted to in the future. 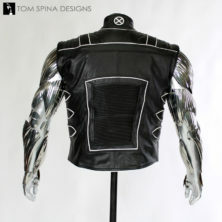 We were also able to source a leather replica X-Men jacket, which we modified to be Colossus’ signature vest. To complete the display we decided to go with a simple black laminate base to keep the main focus on the armor pieces, and not bring viewer’s eyes down and away.